The government’s Making Tax Digital proposals have had SMEs across the UK concerned about the increased number of tax returns expected from them every year. The new regulations, set to be fully introduced by 2020, would mean that quarterly returns would have to be filed instead of the annual tax return currently in use. The digital revamp of the HMRC is to revolutionise the way we pay our tax. Every individual and business will have their own personal digital tax account online, allowing them easier communication with the HMRC and a chance to view and update their current tax details at the click of a button. The government believes the change will “reduce burdens for taxpayers and build a transparent and accessible tax system fit for the digital age.” Tax calculations can be made throughout the year rather than in one go, helping individuals and small companies alike plan their financial affairs. Small and medium size business owners were primarily concerned about the strain quarterly returns could have on their company. The burden of additional legislation and thus higher accountancy fees is not preferable for many companies already bogged down by plenty of red tape. There is also an increased possibility of financial penalties if returns include mistakes or are filed late. A petition was even created by one disgruntled business owner which received over 100,000 signatures, thus meaning it was debated by parliament on 25 January 2016. The government response has eased many of these initial fears however. The four tax returns required under the digital makeover will not be equivalent in complexity to the annual tax returns we all recognise under the current system. In addition to this, sanctions for inaccuracies or late filing will not be subject to the same sanctions as they are presently. Are Quarterly Tax Returns Preferable? With the government response reassuring business owners about the digital changes, many companies are actually welcoming the proposal. It will turn the UK into one of the most digitally advanced tax administrations in the world, allowing us to view and amend our tax situation at the click of a button. With the end of the dreaded and often confusing annual tax return, chance of being caught out by a hefty tax bill at the end of the year will also minimised. 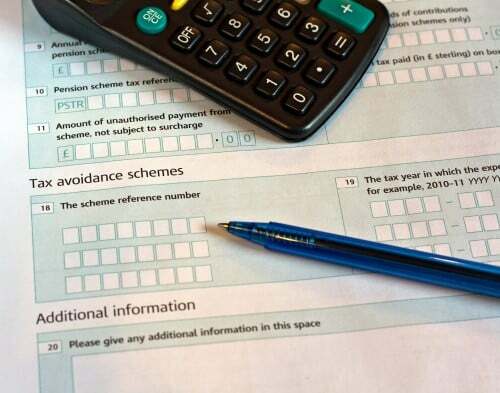 In addition to this, record keeping software relating to the tax returns will be available for free, reducing the strain on SME businesses across the country. There is also time to adapt and become accustomed to the Making Tax Digital changes as the system will be phased in gradually by the year 2020. If you found this post interesting, you may be interested in How Social Media is Affecting Customer Service and How to Get Your Business Ready for the New Tax Year.